If this sounds like your typical morning, then you very likely could be suffering from sleep apnea in San Marcos. Sleep apnea is the second most common sleep disorder in the U.S., affecting about 20 million people every night. Unfortunately, this condition cannot only rob you of your sleep, but your health as well. When a person has sleep apnea, they briefly stop breathing multiple times during the night. This is typically caused by the soft tissues in the mouth and throat relaxing into and blocking the airway. When this happens, the body immediately goes into panic mode and partially wakes up in order to restore breathing. This can happen over and over again, up to 100 times in an hour. These constant interruptions prevent a person from getting the deep, restful sleep they need to feel awake and alert during the day, plus they can also bring on a handful of other harmful symptoms. Expanding off of that last point, the American Sleep Apnea Association estimates that nearly 38,000 cardiovascular deaths in the U.S. are directly tied to sleep apnea, meaning it’s way more serious than just losing a little sleep! If any of the above symptoms sound familiar, you should seek out professional help as soon as you can. Where? 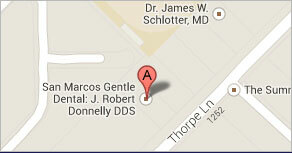 Probably at a place you wouldn’t necessarily think of: your dentist in San Marcos! Specially-trained dentists are able to provide custom-made mouthguards that can prevent the lapses in breathing caused by sleep apnea, and they can also help you get a proper diagnosis by organizing a sleep test performed by a certified sleep doctor. Sleep apnea can leave you exhausted and on the edge of having a heart attack or auto-accident every day, but it can easily be treated with a small mouthguard you wear to bed each night. If you believe that you or a loved one may be suffering from sleep apnea, don’t hesitate to contact your dentist today to start getting the help you need. 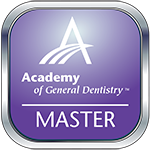 Dr. J. Robert Donnelly is a graduate of the University of Texas Health Science Center in San Antonio and a Master of the Academy of General Dentistry. This is an honor less than 1% of dental professionals achieve in their lifetime, and he got it by taking over a thousand hours of continuing education, many of them dedicated to the treatment of sleep apnea. If you would like more information about sleep apnea and how to get the help you need, he can be contacted through his website.